​In this reference catalog the data is organized which might be necessary for launching and developing manufacture, maintenance and repair of industrial pipeline valves. A series of process-oriented problems is considered to organize the repair works in the form of fixed-route procedures, equipment and tooling application tables and repair bay layouts. The whole complex of processing and metrology equipment and tooling is presented, consistently and according to the application, as units and parts of machines designed for welding/hardfacing, edge-cutting, precision surface finishing, or electronic test benches and rigs, or as components of metric instrumentation. 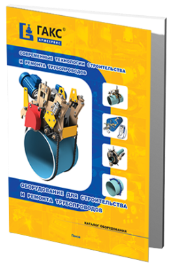 The Catalog covers a range of equipment designed for installation, maintenance and repair procedures on main pipelines and process pipe systems of various applications.The Catalog is divided into three sections in which the equipment is presented to be used in basic procedures of construction, maintenance and repair of pipelines of various applications: flame pipe-cutting machines, cold pipe-cutting machines, and auxiliaries. The Catalog covers a range of equipment designed for hot-tap tie-in operations on pressurized in-service pipelines without relief or loss of product. In addition, the equipment is presented for temporary in-service isolation of pipeline sections and making bypass lines for repair or modernization of the pipeline. 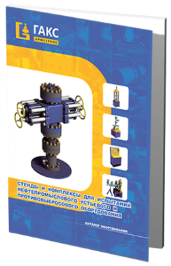 The Catalog presents rigs and complexes designed for functional testing of oilfield wellhead and blowout preventing equipment. 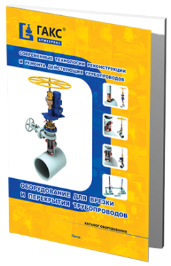 In addition to the test equipment, the Catalog offers the information on the sources of pressure, metrology and auxiliary equipment (accessory and support units) used in testing the pipeline valves. 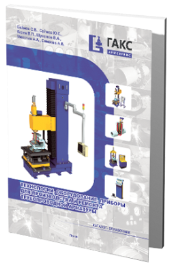 The Catalog covers a line of rigs to be used for a wide range of valves and wide application ranges (DN 50…425 mm; PN 1…105 MPa). Equipment for other application ranges can be engineered and supplied upon customer’s request. 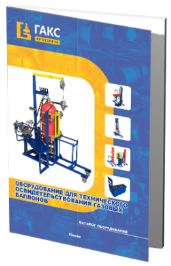 Catalog which covers a range of equipment to be used in conformity reassessment evaluation of high-pressure gas cylinders, in transport sector and in other application areas. Product Catalog includes the following sections: equipment for conformity reassessment evaluation of compressed natural gas cylinders; equipment for conformity reassessment evaluation of liquefied petroleum gas cylinders; service equipment for gas cylinder mounting and transportation; complexes of equipment for conformity reassessment evaluation of gas cylinders; service equipment for conformity reassessment evaluation of gas cylinders; auxiliary equipment for repair and restoring of gas cylinder paint coating.